On Saturday afternoon November 28, James Covey, a Dallas police officer who has been with the department for almost 8 years, was arrested on suspicion of driving while intoxicated (DWI) while on duty. According to news reports, two other officers discovered Covey in high water after he became involved in an accident involving only his vehicle. Covey was reportedly found in South Dallas in the area of 4500 Elsie Faye Heggins Street. According to the Dallas Morning News, Covey staggered out of his car and seemed disoriented when officers inquired as to how he was. He made no statement about how he became involved in the accident according to the warrant. He also wanted to retrieve some of his belongings from his vehicle before being transported to the hospital. An officer at the scene went to get the belongings Covey wanted, and discovered a cup that had an odor of alcohol. At the hospital, officers performed tests that indicated he had consumed alcohol. Covey was arrested, and has been placed on administrative leave by the department. After posting bond on Sunday, he was released just before 3 p.m. While news reports do not indicate the officer’s BAC or blood alcohol content, driving under the influence of alcohol or drugs is a criminal offense. In the state of Michigan as well as most other states the legal limit is .08 percent. However, the results of these tests are not always accurate, and improper administration can also affect results. Because someone is arrested for DUI does not mean he or she will be found guilty. There are many factors a skilled lawyer will challenge in an effort to have charges dismissed or reduced. The penalties for a conviction are serious and may include jail time, fines, driver’s license suspension, community service, a criminal record, and more depending on whether it is a first or subsequent offense. 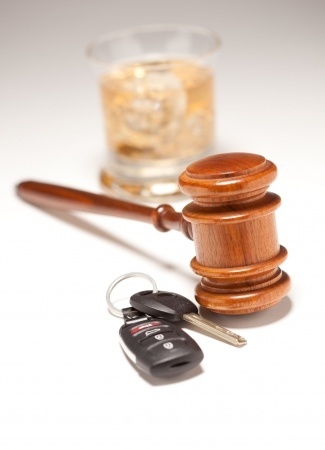 To protect your freedom and future, it is vital to work with an experienced Michigan DUI attorney who understands the criminal process and how police and prosecutors work.